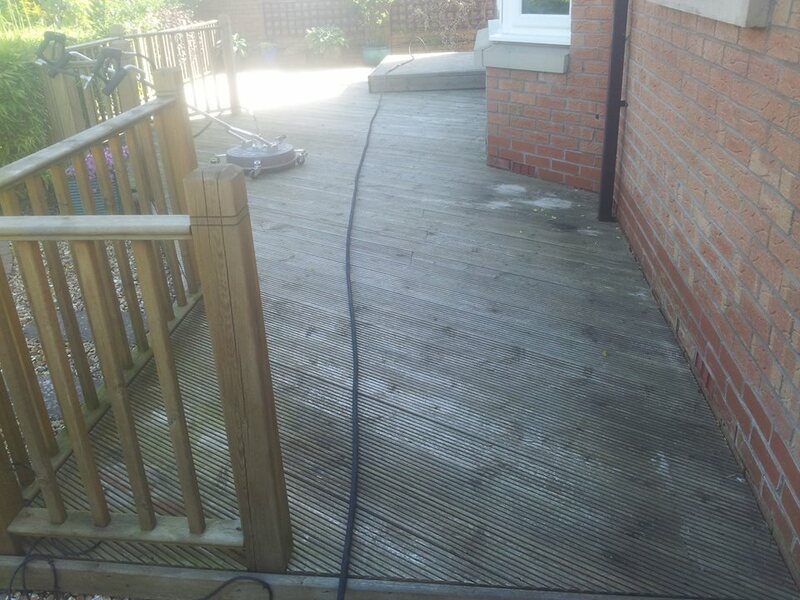 Decking Cleaning Glasgow from Eco Driveway Cleaning. We are a local, family run business owned and operated by Craig Greig. Our aim is to offer professional Decking Cleaning thoughout Glasgow, Bearsden, Clydebank, East Kilbride and Hamilton. Eco Driveway Cleaning have earned a reputation for its expertise and for delivering a friendly, reliable, professional cleaning service. If you are looking at getting your decking cleaned and restored we can help you. Decking is a more delicate surface than most other outdoor hard landscaped areas and therefore the correct approach and experience is required to complete the job successfully. Decking looks great when it’s new and pristine. Yet the Scottish weather can have it looking dirty and old within a season. You want it looking it’s best for the summer months, especially with the unpredictable Scottish weather better to be prepared for the nice weather when it arrives. 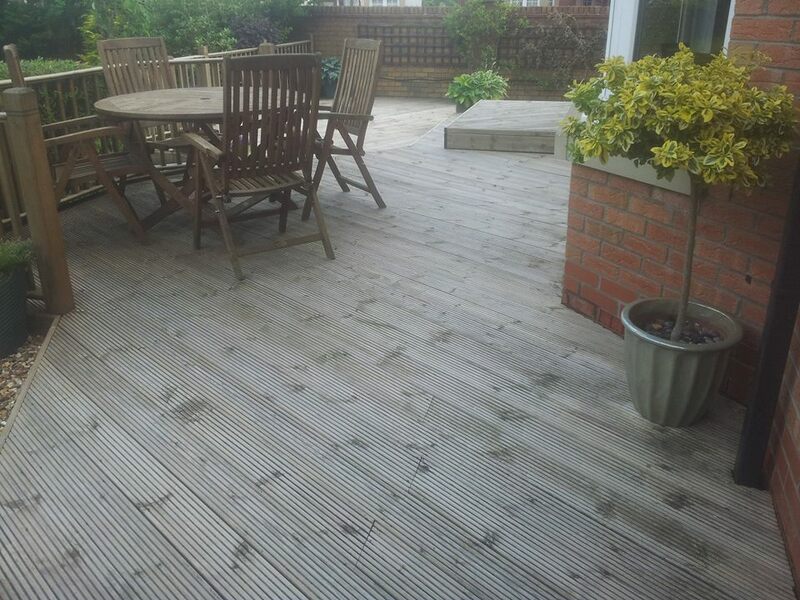 Having it restored not only improves the appearance of the decking but protects your friends and family from potential slips or falls due to the slipperiness of a dirty decked area.